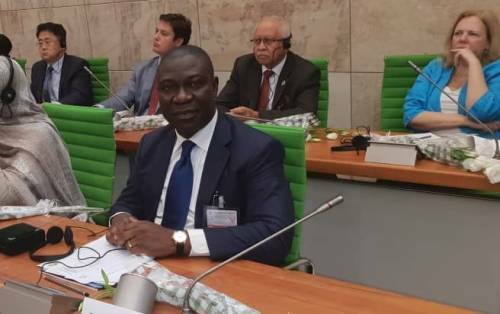 The deputy president of the Nigerian senate, Ike Ekweremadu has faulted the police claims that there was no assassination attempt on his life. "The Police adopted a very myopic, porous and intellectually stagnant approach to a very serious matter. To start with, burglary is not mere. Anyone who is engaged in burglary has satanic intention. It is burglary that leads to assassination," Melaye said. "I was so shocked when I woke up this morning to hear the Police saying what happened in my house was a mere case of burglary. I am at a loss because as we speak, they have not taken any statement from my son who was hospitialised, they have not gone to the hospital to find out what exactly happened to my son. They have not invited security personnel attached to me who reported yesterday; some are still reporting this morning. "They looked at the CCTV tapes operated by the DSS and a staff of my house; apparently, they were not able to figure it out, so it was easy for them to quickly dismiss what really happened." “For the Police to quickly, without interviewing the very person for whom this incident happened to, come out and determine that it was a burglary, actually burgles the mind," he said. "We know in this country that Bola Ige was killed in his home. We know and also it is a fact the former gubernatorial candidate, Funsho Williams, was also killed in his home. Our fear today is, why is the Police engaging in a cover-up?"